We’ve discovered Easter’s pagan origins (in The Easter Connection). rituals - not anything Christian. the giver of life? Wouldn’t God want us to celebrate more positive things? Interestingly enough, beyond this day as being noted the "day of death,"
commemorate how the sun god brought new life back to Semiramis (i.e. in both of our worlds. upcoming cold and darkness of winter. to be there for long. ready for some really dark and cold times… symbolizing death, of course. manifested in the changing of the seasons! at all - he was still a god... forever. Many people were, then, convinced, through what they saw around them. time… the living could visit with the dead. happened, quite often, in ancient times. place. Good or evil, both were able to come through the “veil” on this day. spirits rejoice and play nasty tricks. night; and needed to be appeased, or “bought off,” to assure their favour! spirits, the spirits could easily reciprocate; or “trick” the living, in ways. origin of why people dress up in costumes during Halloween. many back then, Halloween was truly a day of fear. Most probably, these practices went back to Babylon; and even beyond! 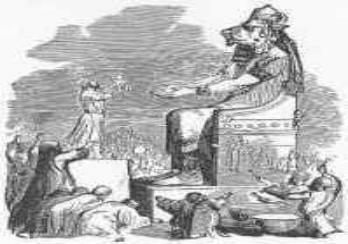 same old Babylonian story of Semiramis (see The Easter Connection). Molech, etc.). 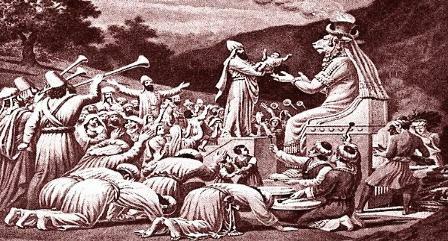 Now, we'll see that Halloween represents the "back-end"
piece of this same old Babylonian story! soul of Nimrod wouldn’t be able to live in his body throughout all eternity! any god should! But, we know her baby was just a normal, baby boy. divine she laid out. They bought it; hook, line, and sinker! Nimrod. The people had their "hope and change" right in front of them. now subjects of most every pagan sacrifice that had to be had on this day! baptized, today. No - the burnt sacrifice obviously doesn’t come back! must have been truly twisted, back then; and, to a degree, today, as well. 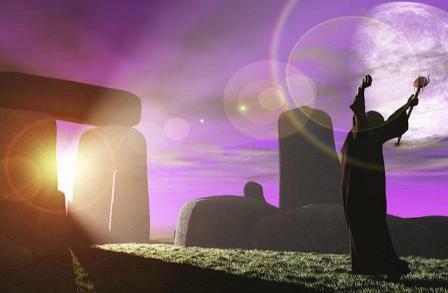 These holidays come from something all ancient; and it’s all pagan. and Christianity fused again; or having the Christian elements "blanket"
same direction as those who followed (and follow) the pagan religion? the worship of God, in any way. yourselves therein: I am the LORD your God. issues; and help us to learn even more. 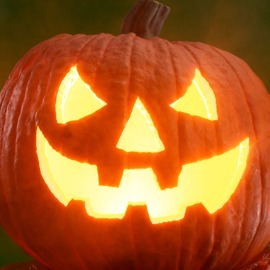 The Origins of Halloween - What Does the Bible Say About Them?, 1, https://www.jw. org/en/bible-teachings/questions/origin-of-halloween/ (accessed June 8, 2016). The+Pagan+Roots+of+Halloween (accessed June 8, 2016). The True Origin of Christmas, 6, https://rcg.org/books/ttooc.html (accessed June 8, 2016).